Gill Whitney is an acknowledged expert in the field of Digital Systems with particular knowledge of the standardisation, legislation, training and technical factors needed to support the creation of useable, useful and fun technology. She is Head of the Design for All Research Group which carries out multidisciplinary research work in the area of digital and social inclusion. Whitney, G. and Kolar, I. (2019) Am I missing something? Experiences of using Social Media by blind and partially sighted users. Universal Access in the Information Society . ISSN 1615-5289 (Published online first) Item availability restricted. Whitney, G. and Hara, S. and Whitney, L. (2018) Study on risks and opportunities of digitalisation for financial inclusion. The perspective of vulnerable users in Estonia, Italy and UK with a focus on groups covered by the European Accessibility Act. Project Report. European Union. Whitney, G (2018) The use of standards for identifying, codifying and transmitting expert ergonomic knowledge. In: IEA 2018 20th International Ergonomics Association Congress, 26-30 August 2018, Florence, Italy. Item availability restricted. Whitney, G and Usama, A. Utilising the Teaching of International Formal Technical Standards to Inspire Confidence in Networking Students. HEA Annual Conference 2018 - Teaching in the Spotlight: Learning from global communities, July 2018. I was a co-author of both of these publications. Lazar, J., Abascal, A., Barbosa, S., Barksdale, J., Friedman, B., Grossklags, J., Gulliksen, J., Johnson, J., McEwan, T., Martinez-Normand, L., Michalk, W., Tsai, J., VanDerVeer, G., vonAxelson, H., Walldius, A., Whitney. G., Winckler, M., Wulf, V., Churchill, E., Cranor, L., Davis, J., Hedge, A., Hochheiser, H., Hourcade, J-P., Lewis, C., Nathan, L., Paterno, F., Reid, B., Quesenbery, W., Selker, T., and Wentz, B. (2015). Human-Computer Interaction and International Public Policymaking: A Framework for Understanding and Taking Future Actions. Foundations and Trends in Human-Computer Interaction 9 (2), 69-149.Kenaza, Tayeb and Aiash, Mahdi and Loo, Jonathan and Lasebae, Aboubaker and Whitney, Gill (2016) A progressive approach to design authentication protocols for mobile heterogeneous networks. In: IEEE Trustcom/BigDataSE/I​SPA, 2016, 23-26 Aug 2016, Tianjin, China. Böcker, Martin and Floratos, Nikolaos and Martínez, Loïc and Pluke, Mike and Von Niman, Bruno and Whitney, Gill (2016) Cognitive accessibility to mobile ICT. In: 15th International Conference on Computers Helping People with Special Needs (ICCHP 2016), 13-15 July 2016, Linz, Austria. Keith, S., Floratos, N., & Whitney, G. (2012, April). Certification or conformance: making a successful commitment to WCAG 2.0. In Proceedings of the International Cross-Disciplinary Conference on Web Accessibility (p. 21). ACM. Whitney G. (2009) Panel speaker at EU Commission workshop on ICT Standards Education, November, Brussels, November 2009 (Invited by the EU Commission's ICT Standardisation Steering Committee – consisting of industry and governmental representatives). Wilson, J., Curzon, P., & Whitney, G. (2007). SENIORS'ROUTE PLANNING: A REALITY CHECK FOR THE DESIGN OF NAVIGATION SYSTEM. In 11th International Conference on Mobility and Transport for Elderly and Disabled Persons. Adams R. and Whitney G, Universal Access in an Information World, published in Natural Computing and Interactive System Design. Harlow, Essex. UK: Pearson, 2005. Shaikh F, Lasebae A, and Whitney G, Critical Analysis of High Speed Wireless Standards for Transferring Telementoring Information, 1st International Conference on Information & Communication Technologies: from Theory to Applications, ICTTA'04, Damascus Syria, April 2004. Whitney G, Keith K and Wilson J, Developing independence: The Potential of Information and Communication Technologies (ICT) to Assist Elderly and Disabled People, THE GOOD, THE BAD AND THE IRRELEVANT, The user and the future of information and communication technologies COST Action 269 Conference, Helsinki, September 2003. Accessibility and Usability – She leads and supports research students who are working on developing the right solutions to tackle the last third of the population who are missing out on direct benefits e.g. computers and the Internet, mobile phones, personal digital assistants (PDAs) and digital TV, and indirect benefits e.g. where greater use of digital technology to plan, design and deliver services leads to significant improvements in service planning, design and delivery, particularly to address the needs of disadvantaged groups and individuals. Innovation and Technology Management (including the use of standards and the role of standardisation) – She is Module Leader for the Module BIS3350. The module aims to develop the students understanding of how and why technical innovation takes place. 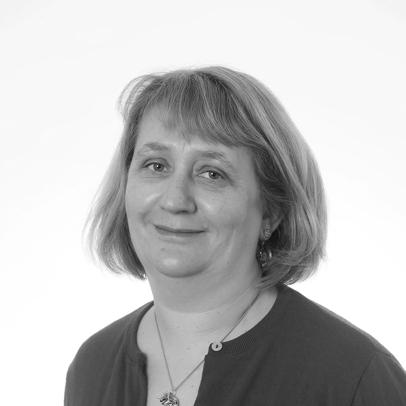 Compliance, Regulation and Standardisation - Gill has extensive experience of teaching, creating and using network and computer standards and regulations in the areas of accessibility and security. Gill has personal interest in Accessibility, Usability, Design for All, Standardisation and Innovation. The Design for All Research Group at Middlesex University has recently undertaken research into the operation of the `Fix the Web' project (http://www.fixtheweb.net/). The `Fix the Web' project involves the use of online volunteers to assist in the reporting and fixing of inaccessible web sites. Kenaza, Tayeb and Aiash, Mahdi and Loo, Jonathan and Lasebae, Aboubaker and Whitney, Gill (2016) A progressive approach to design authentication protocols for mobile heterogeneous networks. In: IEEE Trustcom/BigDataSE/I​SPA, 2016, 23-26 Aug 2016, Tianjin, China. The use of information systems for the Office of the High Commissioner for Human Rights (OHCHR) and the United Nations Committee on the Rights of Persons with Disabilities, 2012 to 2013. She has provided advice to the UK Governments Department for Culture Media and Sport, Eaccessibility forum. She was described as an expert and had her expertise listed on the ANEC (the European consumer voice in standardisation) website. She was invited to a meeting at the Department of Work and Pensions to meet Professor Hajime Yamada of Toyo University to discuss the use of accessibility standards in Japan, the UK and internationally. She has worked as an evaluator for the European Unions research funding call, ICT-2007.7.2: Accessible and Inclusive ICT (due to teaching commitments she was not able to act as an evaluator in recent years). She has acted as a consultant for the Middlesex University via the University's Design and Innovation Centre. Gill represents the skills and expertise of the University externally by her standardisation activities. She is currently chair of the British Standards Institute (BSI) Committee CH/173 Assistive products for persons with disability, a member of ISO Technical Advisory Group for the revision of ISO/IEC Guide 71.a member of JTC 1 SWG on Accessibility and a member of the ANEC Design for All and ICT working groups. Her main current standardisation activity is as a member of ISO Technical Advisory Group for the revision of ISO/IEC Guide 71. This guide is designed to enable standards to be written that do not discriminate against older or disabled people. Her role is to assist in the writing of a guide (or electronic tool) which can provide information to standardisers in the ICT field so that the standards can be used to aid designers to be innovative without setting up barriers to use.